Football is a game in which teams need to score to win. Teams with good goalscorers and an effective attacking unit are leading the table in their respective leagues whereas those that don't are struggling to win matches on a regular basis. Teams like Manchester City, Paris Saint-Germain, and Barcelona are scoring more than 2.5 goals per game and that's the reason why they are at the top. On the other hand, Real Madrid and Chelsea are struggling to win matches on a consistent basis as they don't have a good attacking unit. Europe's top clubs are blessed with a host of talented attacking players. Here are 10 of the best football attacking trios. Note: The rankings are done by the basis of the number of goals scored in their respective leagues. Arsenal may currently be struggling at 5th place in the league standings, but that is more or less due to their poor defense. Their forwards, however, have done reasonably well this season. Pierre-Emerick Aubameyang joined Arsenal from Borussia Dortmund in the previous season's winter transfer window and hit the ground running. He has continued that scoring streak in the current campaign and is currently in the top 3 in this season's Premier League goal-scoring charts. Alexandre Lacazette has been consistent but Henrikh Mkhitaryan has shown a decline after a good start to the season. They have, however, managed to create chances and score goals themselves, even if they are well behind the unstoppable Aubameyang. 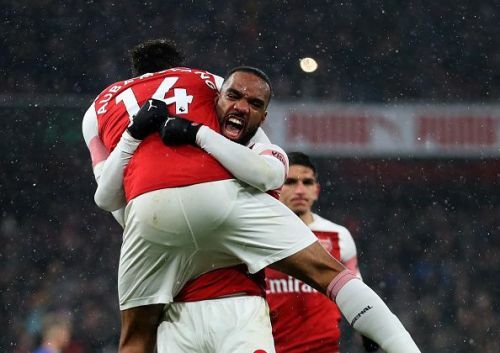 Aubameyang and Lacazette form an attacking pair and so score most of the goals, but Mkhitaryan is Arsenal's third-leading goal scorer in the league. 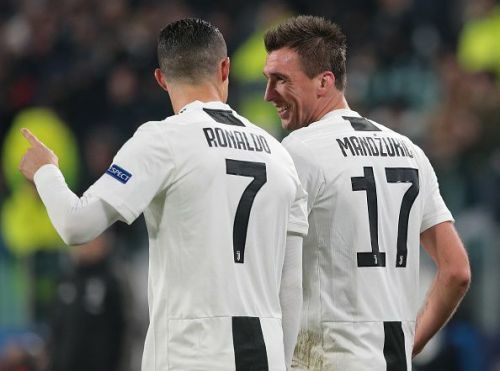 Juventus are currently enjoying an unbeaten run in the Serie A, winning 21 of their 24 games, mainly thanks to their wonderful attacking trio. Cristiano Ronaldo, one of the best players in the world, made a shock transfer to Juventus in the summer. There were suggestions that he may struggle to score as many goals in Serie A as he did in La Liga, but the Portuguese forward once again silenced his critics with his goals. The other two players have been providing ample support to him in attack, while also contributing to the goalscoring tally. The attacking threat these three provide means Juventus will be a hard team to defeat.